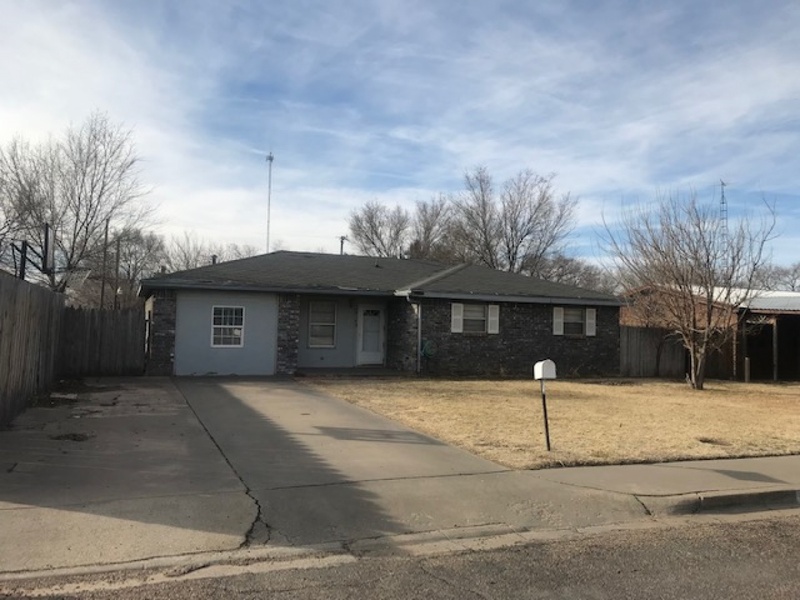 THIS HOME OFFERS 3 BEDROOMS, 1.75 BATHS, 2 LIVING AREAS, OFFICE AREA, 1 CAR ATTACHED GARAGE, COVERED PATIO AND SO MUCH MORE! Living area has hand textured walls, neutral paint, tile floors, new lighting and ceiling fan, window blinds, great storage closets. 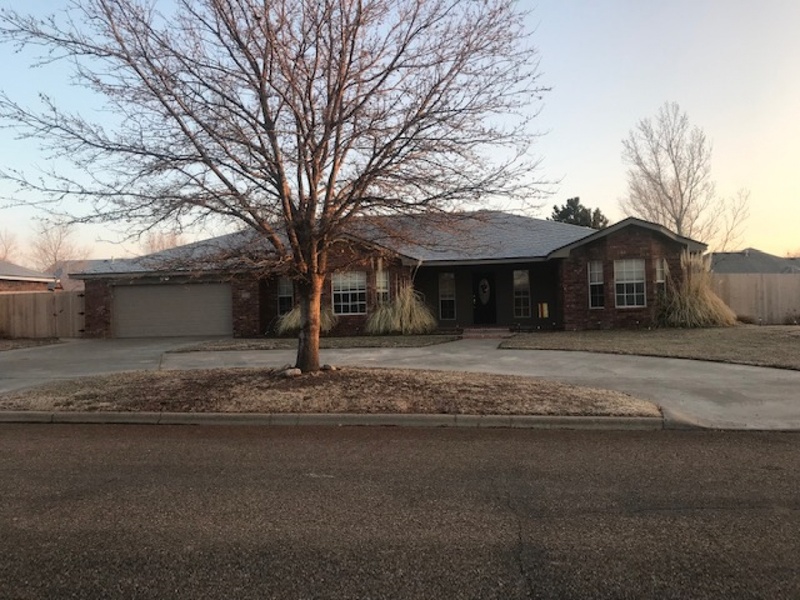 Kitchen has white cabinets, granite counter tops, travertine backsplash, tile floors, new stainless steel appliances; electric range, dishwasher, vent hood, garbage disposal. Kitchen has a stainless steel refridgerator, large pantry, can lighting, ceiling fan. Family room has textured walls, neutral paint, beam ceiling, can lighting, ceiling fans, tile floors, brick woodburning fireplace and a French door to covered patio. Dining room is open to family room/kitchen/living room, chandelier, tile floors. Utility room has good storage, drying rod. Master suite has carpet, ceiling fan neutral paint, double rod closet. Master bath has tile shower, vanity, tile floors.The other bedrooms have carpet, neutral paint double rod closets. Hall bath has a tub/shower with a tile enclosure, vanity, storage cabinet. Central heat/air and extra one piece wall heat and air unit. Double pane windows, 1 car attached garage with opener. 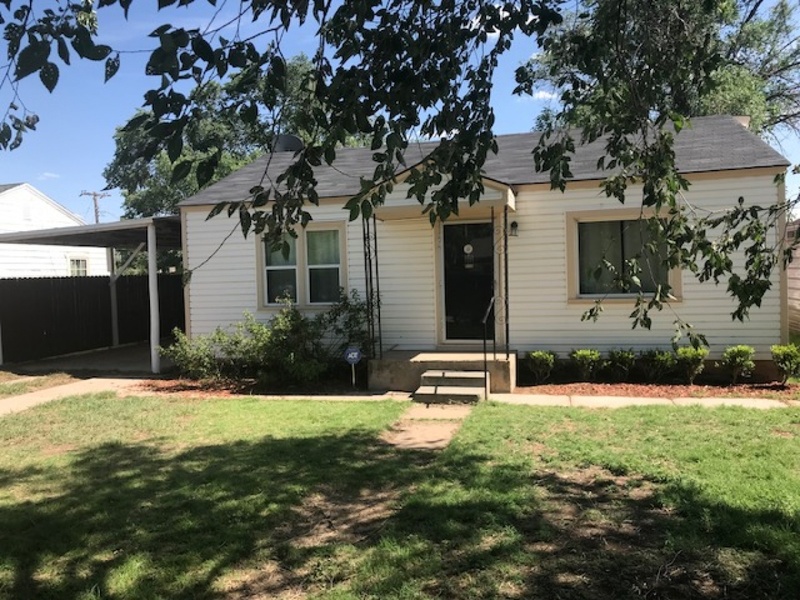 6 ft wood fence, new hardware, can lighting, light fixtures, blinds, inside doors, storm door, new inside and outside paint, new outside siding, all new flooring, new roof. Call for a showing today! !